This concept was developed about 6 years ago after discussions with my friend Mel Wright. I’d been looking for a way to walk the walk when it came to building “green”. 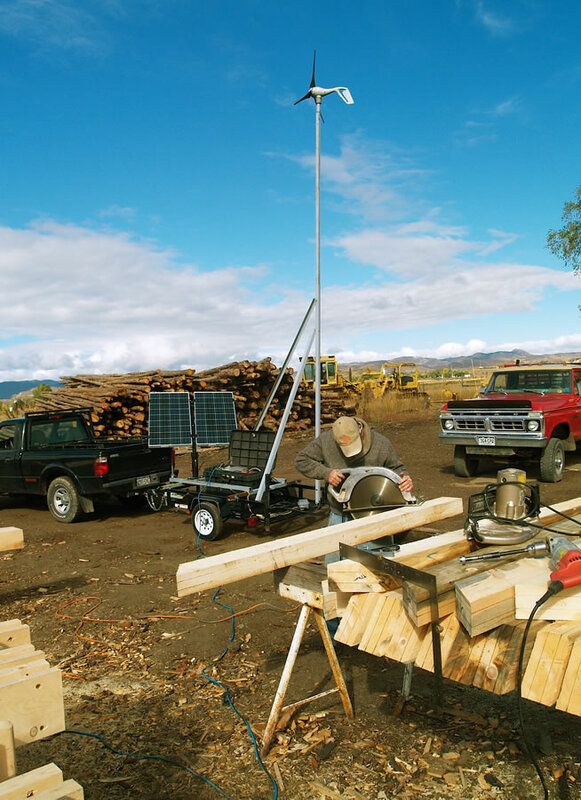 The idea was to provide a system which could be easily transported to remote sites and used to power the tools we use to fabricate the frames we do. 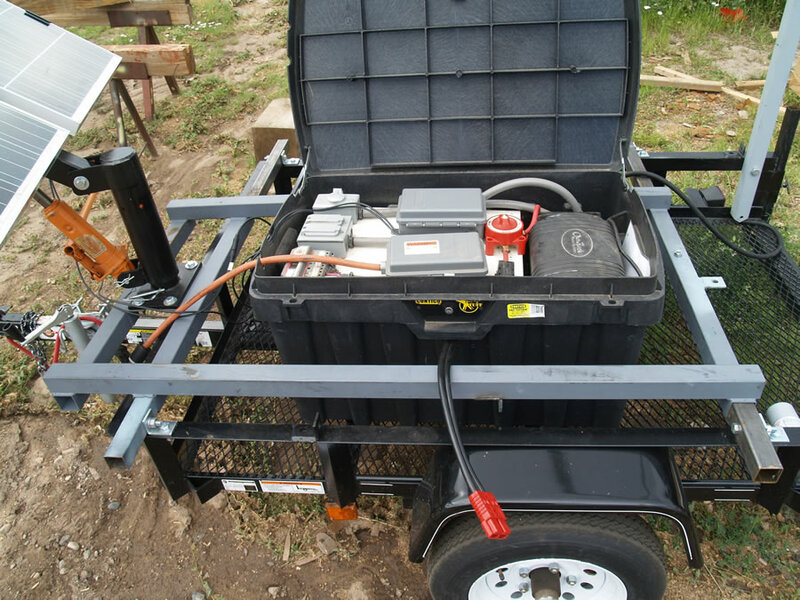 After frame is finished the generator can be plugged into a cabin sized structure and will provide an endless supply of basic electrical power with proper monitoring. The generator has been in service for 6 years now. With a few tweaks and revisions along the way. It originally was solar only. 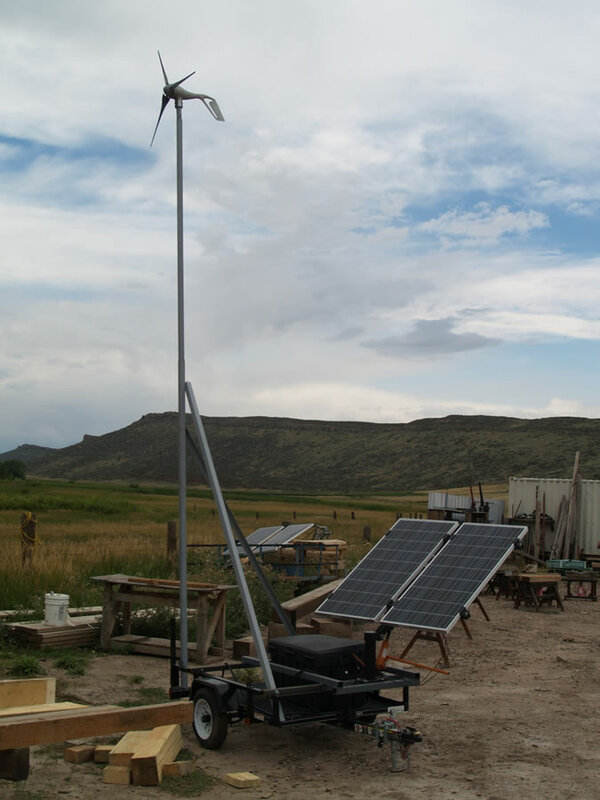 Soon after, I found a small wind generator on Craigslist and we devised a simple short mast system which could be attached to the trailer. 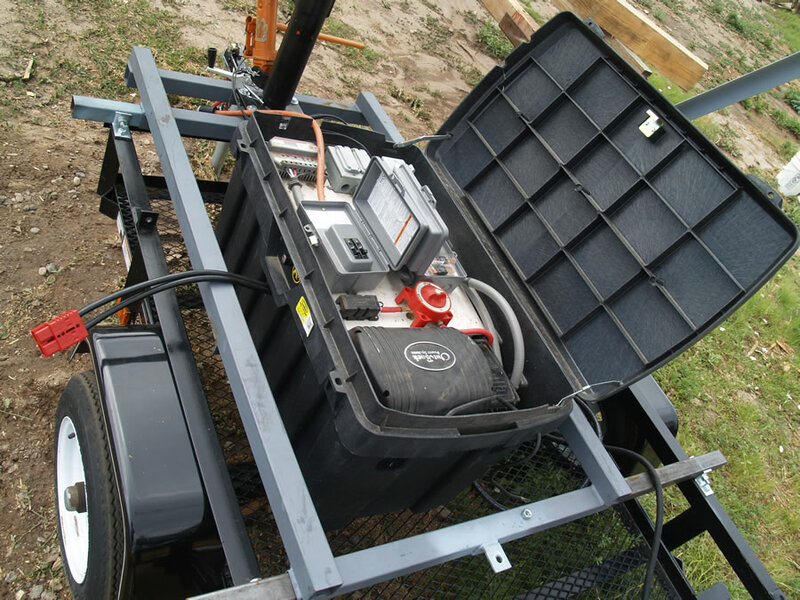 Originally the system was housed in a single box which contained all components – four 6 volt batteries (24 volt system), charge controller, inverter, fuses, breakers and outlets – and loaded on a small trailer. 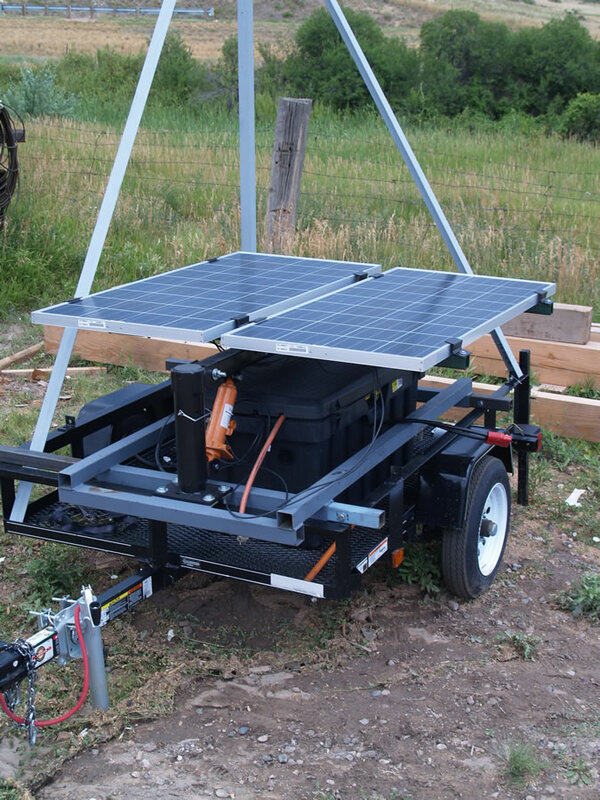 Solar panels sit atop the trailer on a simple adjustable mount. This worked well but required 2 or 3 guys to move the box. The latest tweak has broken the system up into 2 boxes which 1 guy can handle alone. 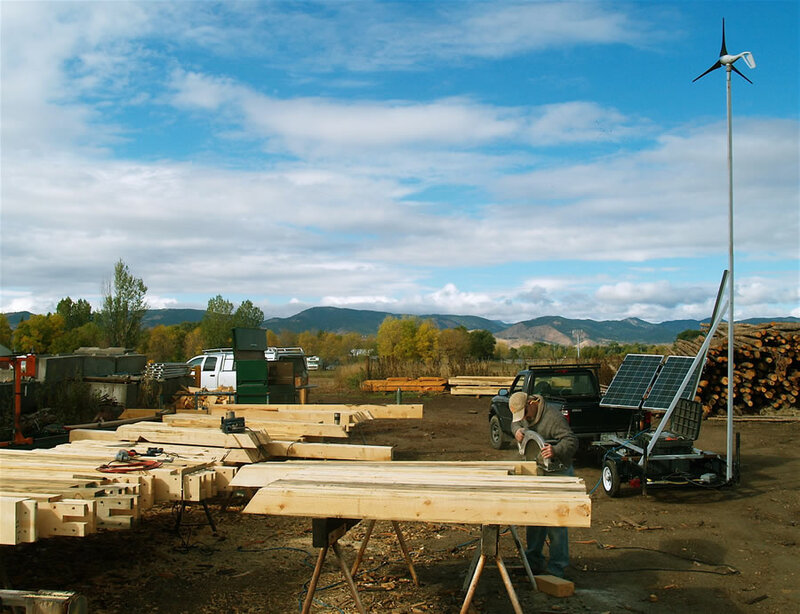 The system provides enough power to run a small crew with basic timber framing power tools day in and day out. For smaller projects it is all the power we need. For larger projects it provides anywhere from 50 to 80 percent of the needed power. The inverter I use is powerful enough to handle the load for a good sized house. 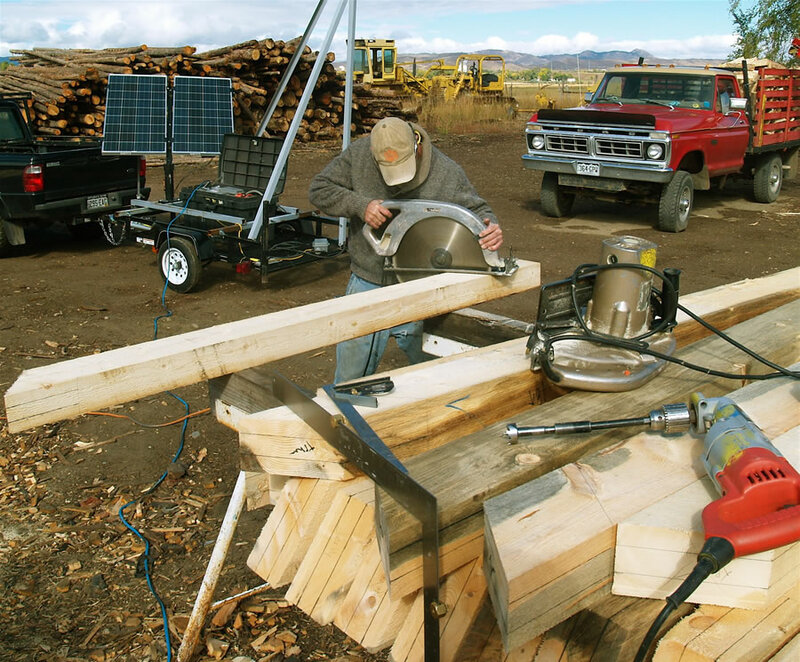 The 2 solar panels provide plenty of power for day in day out tool usage. The system can be easily expanded by adding more panels but that has not been needed yet. It’s a great feeling to plug into the sun and wind to power the tools to cut the frames.